During the State of the Union address, President Bush addressed a growing sentiment in this country and our community: Our nation must reduce its dependence on foreign oil and cut greenhouse-gas emissions. 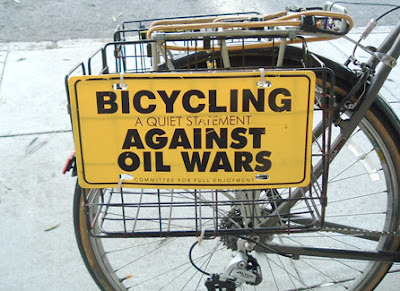 One way is to get serious about bicycling. Let's remember that bicycling is not an all-or-nothing proposition. There are many Americans who want to use bicycles more often. They understandably don't want to give up their cars, but many of their trips can be accomplished by bike. Saying "we can't ask people to give up their cars" is appealing only to people's fears; it won't help us solve our problem. This is a great piece by Mighk Wilson, the bicycle and pedestrian coordinator for Metroplan Orlando. Whatever else Rocky Anderson might be going down for in history, make no mistake that he is decidedly going to go down as the best mayor a Salt Lake bicyclist ever had. With a year to go in his eight-year run as mayor, Anderson cemented that reputation with his executive order last week mandating that all future road designs and redesigns must include adequate planning for bicycles and pedestrians as well as motorists. 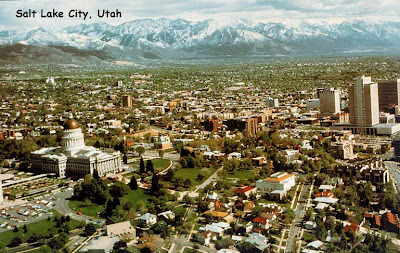 Whatever else one might think about his proposals--such as the dubious mandatory helmet requirement--it seems that Salt Lake City Mayor Rocky Anderson is sincere in his desire to make the Utah city more bicycling friendly. Many of the cities that have made the most progress in recent years tackling the traffic challenge and encouraging alternatives such as bicycling have done so in part due to strong leadership from their chief executives. These cities include London (with "Red" Ken Livingstone, pioneer of congestion charges in the city core), Paris (with socialist mayor Bertrand Delanoë, pioneer of Paris Plage and other innovations), Los Angeles (under avid bicyclist Richard Riordan and transit advocate Antonio Villaraigosa), Chicago, and Portland, Oregon. Unfortunately, in San Francisco, we have generally made progress in spite of, not because of, our mayors. 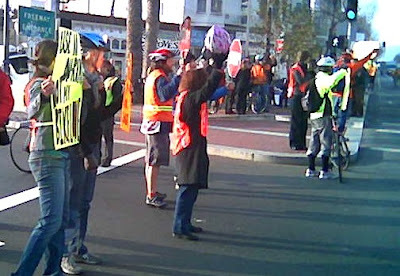 Former Mayor Willie L. Brown had to reluctantly swallow bicycling enhancement, after years of relentless advocacy from the San Francisco Bicycle Coalition and direct action such as Critical Mass. Our present mayor, Gavin "Chicken" Newsom, gives lip service to "greening" San Francisco while eagerly avoiding critics of his non-visionary traffic leadership. Grass roots advocacy for better bicycling is always the key to improved conditions. But it never hurts to have supportive leadership in City Hall. 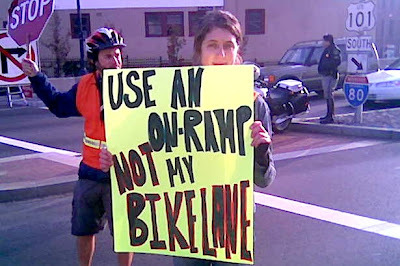 This is a helpful video produced by the San Francisco Bicycle Coalition. 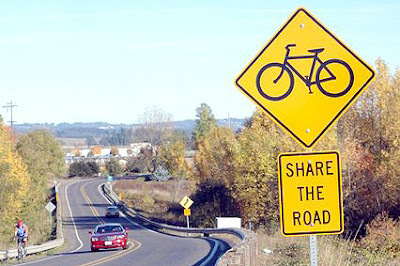 To avoid collisions, ride predictably, obey traffic laws, wear bright clothing, and use lights at night. Virginia Beach Delegate Terrie Suit's constituents...urged her to sponsor HB1826. The legislation would create two separate tax credits to entice people to ride--instead of drive--to and from work. Under the bill, employers who provide showers and bicycle racks would receive a tax credit of as much as $5,000. 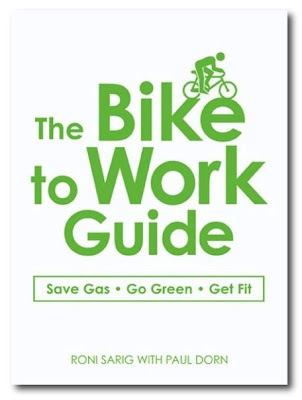 Employees who ride to and from work at least 10 days a month would earn a tax credit of $15 per month. "I thought it was a great idea," Suit said. "Anything we could do to strip away at the transportation problem.... It's a good gesture and a good thing to promote." 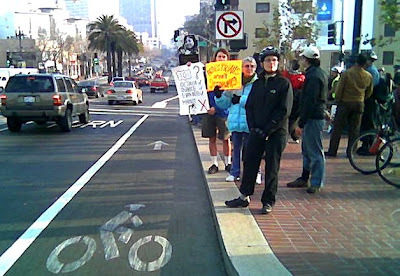 I'm a big fan of "sharrows," which were introduced in San Francisco in 2004. The city's study demonstrated that "sharrows" improved roadway positioning of both bicyclists and motorists, getting cyclists well outside the dangerous "door zone," while drivers gave more clearance when passing. The "sharrow" also reduced wrong-way riding by bicyclists. 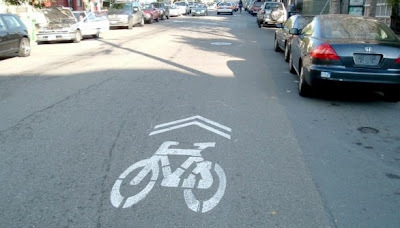 After San Francisco's experience, the "sharrow" was adopted as an official marking by Caltrans, the California Department of Transportation. Many cities, including New York City, Portland and Los Angeles, have begun painting "sharrows" on their streets. The pavement marking is now advancing through national road authorities for approved use on streets across the U.S. 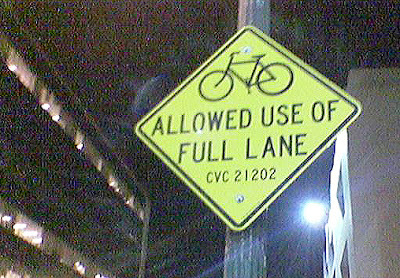 True, a Class II (on-street striped bike lane) facility is preferred. But where government agencies are reluctant to remove parking to create a bike lane, a "sharrow" is a great improvement. 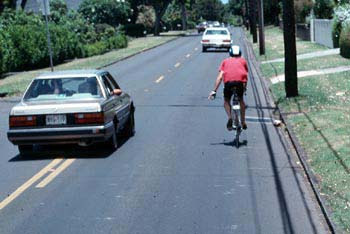 It legitimizes bicycling on streets, providing a strong visual cue to both motorists and bicyclists, transcending language barriers to clearly illustrate proper lane placement. Image: Paul Dorn. Sharrow on Steiner Street in San Francisco. I have a dream. That one day the streets of Atlanta will look (something) like the streets of Peking in days gone by...Imagine if you will, an Atlanta with bicycle lanes four and five feet wide, clearly marked with heavy paint, and perhaps alternate surfacing, on both sides of nearly every major street...The popularity of bicycling has seen a definite upsurge, and there are bicycles on the market for every pocketbook and level of fitness and skill. If we built a truly extensive network of well-marked, safe bike lanes, the numbers of Atlantans who would opt to cycle would be more than just "significant." The numbers would be huge. If you build it, they will come. This is certainly the experience in San Francisco, where the streets have become far more bike friendly in the past 15 years, resulting in a doubling in the use of bicycles for transportation. There is no reason to doubt that even sprawling Atlanta couldn't see an increase in bicycling activity if it commits to more bicyclist-friendly streets. The hopeful vision for Atlanta expressed in this op-ed by Karl Terrell could become a reality, with a push from bike advocates. Hoping to make Salt Lake City streets safer for two-wheel commuters, Mayor Rocky Anderson is proposing a mandatory helmet law. But bicyclists--even ones who faithfully snap on their headgear--are fighting the proposal. They say it would impinge on their personal freedom, give the impression that cycling is unsafe and could deter bikers from commuting. They would rather the city spend time preventing collisions instead of blaming the victim. "Wouldn't it make more sense to reduce the rate of accidents than to mitigate their damage through helmets?" wonders Rob MacLeod, a member of the Mayor's Bicycle Advisory Board (MBAC) who wears a helmet as a regular cycle commuter. "Helmets are an easy fix." If you have the opportunity to travel to Europe or Japan, you will observe a very different street environment. Motorists have far less sense of entitlement, and bicyclists don't wear helmets. That's not a coincidence. Government policy in the U.S. for much of the past century heavily privileged motorists, while neglecting the needs of other road users such as transit riders, bicyclists, and pedestrians. Predictably, American motorists feel a great sense of entitlement regarding public streets; they resent any intrusion into their "exclusive" sphere by bicyclists and others. Some cities, such as San Francisco, Chicago, or New York, have made great strides recently in enhancing the streetscape to encourage bicycling. These strides have included traffic calming, bike lanes, bike paths, bike route networks, signage, "sharrows", and other types of "Complete Streets" measures. And other cities offer mere lip service for safer bicycling. In Salt Lake City, Mayor Rocky Anderson is proposing mandatory helmets for bicyclists, for their "own good" of course. 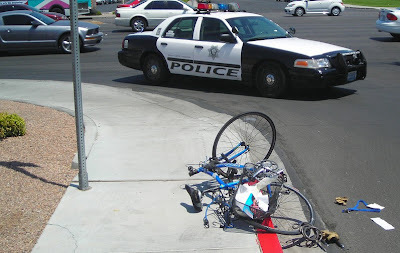 Helmets don't prevent collisions; helmets don't overcome poor bicycling skills; helmets don't improve motorist behavior; helmets don't encourage greater tolerance between drivers and bicyclists. 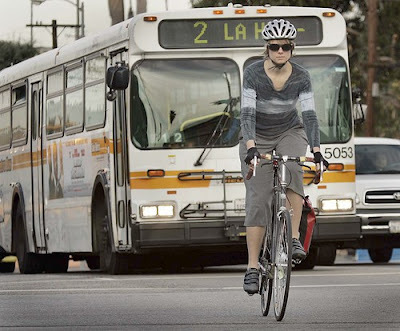 Bicyclists are safer when streets are safer. Streets become safer through better design. 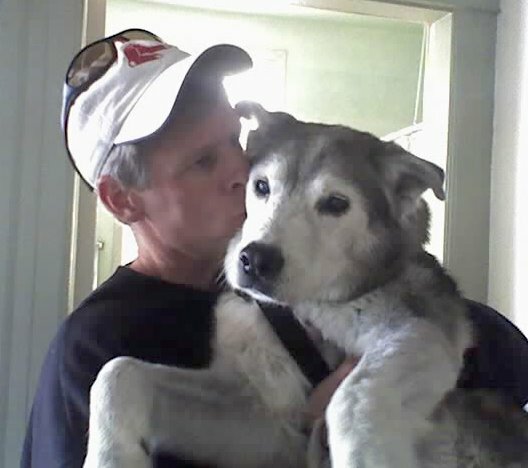 As many are aware, I am an enthusiast for bicyclist-friendly Davis, California, where I lived for five years (and may again). Davis is the first and only city in the U.S. to have earned a platinum-level award from the League of American Bicyclists' Bicycle Friendly Communities program. JANUARY 11, 2007 -- MADISON, WI (BRAIN)--Pacific Cycle, owner and distributor of the Schwinn, Mongoose and GT Bicycles brands, is supporting Madison's charge to become a platinum-rated "Bicycle Friendly Community." In the 1960s, Davis was a pioneer in facilities such as bike lanes and bike paths, at a time when bicycling was largely in retreat as a transportation mode. Today, these innovative, proactive measures to encourage bicycling have resulted in Davis having the highest mode share for bicycling of any city in North America. However, many believe Davis has been resting on its laurels. The city has changed considerably in the past 40 years, spreading greatly in a low-density fashion that discourages walking and bicycling. Davis has also become less of a classic college town, and more of a bedroom community for nearby Sacramento and even the Bay Area. The new residents have been less inclined to bike. The result has been a decline in the mode share for bicycling in Davis, from more than 20 percent of all trips in 1990 to about 15 percent of all trips in 2000. And the city's political leadership also hasn't demonstrated much creativity in bicycling promotion. Davis' latest "effort" to reduce traffic danger wasn't innovative street design or infrastructure, but a prepackaged "Street Smarts" feel-good PR campaign. According to the city website: "Street Smarts addresses traffic problems at their source: in the minds of drivers, pedestrians and cyclists." Uggghhh. Traffic problems don't start in the "minds of drivers." Traffic problems begin with bad street engineering that encourages speeding or reckless driving. I've always believed that infrastructure is a better method of regulating motorist behavior than "laws" or PR appeals. This latest "Street Smarts" nonsense from Davis is truly disappointing. Maybe Madison has a chance. Image: Web capture. The ARC at UC Davis. "The [Connecticut state] 2006 transportation strategy includes a significantly increased emphasis on bicycle and pedestrian travel. Effective bicycle and pedestrian networks result in a reduction in vehicle trips." - Bike space be created on all trains. 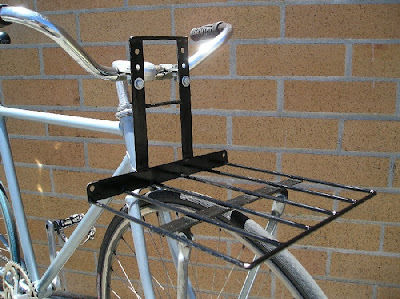 - Bike racks be installed on all buses. - Bike routes to transportation centers be identified. - Bike storage and parking areas be created or fixed. This article seems to be the result of effective lobbying by a Danbury bicyclist. An inspiration to us all! Call and write your local news outlets; educate journalists about the benefits of bicycling. It takes patience and persistence, but it can pay off. 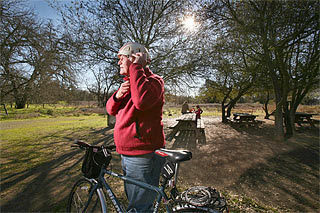 Q: What's working well on the [American River Parkway bike] trail? 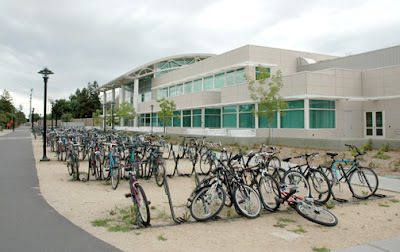 As readers of this blog know, I am a great enthusiast of the American River Parkway bike trail, also known as the Jedediah Smith Memorial Trail, one of the premier bicycling facilities in the U.S. 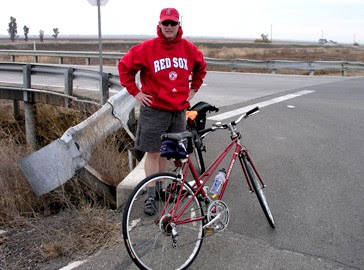 This article is an interesting profile of Dan Winkelman, a park ranger, bicyclist, and bike advocate who is responsible for much of the trail's modern development. 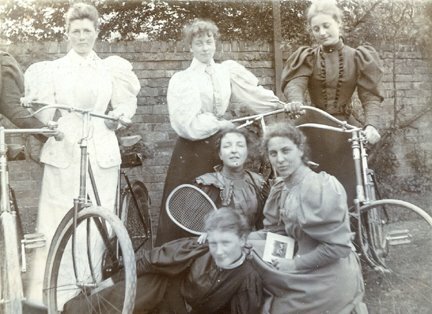 It's nice to see some of the pioneers of today's bicycling community get the recognition they deserve.